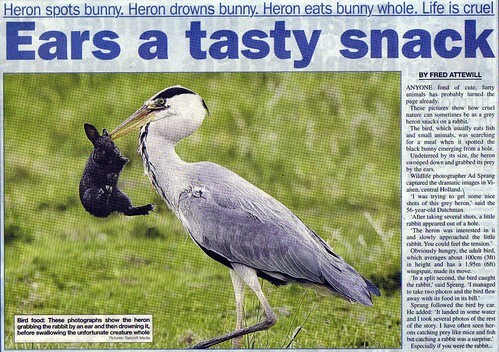 Nature Magnified: Heron Eats Rabbit! Canon EOS 20D (2005) én Canon EOS 40D (2007). Canon 300 mm. F4 IS lens en Canon 1.4 converter.Canon EF 500 mm. F4 L IS USM. oday's Bristol edition of The Metro. This is sensational bird photography.